Vikas Shah MBE is one of the UK’s highest profile entrepreneurs and business commentators. He holds a Professorship at MIT Sloan (The Lisbon MBA), and is an Honorary Professor at University of Manchester. Vikas is a regular speaker and host at conferences around the world, and consults for a wide-range of businesses. Vikas is CEO of Swiscot Group, a diversified international trading business, a venture investor in numerous businesses internationally, and co-founder of 53 Degrees North, a feature film studio. He was awarded an MBE for Services to Business and the Economy in Her Majesty the Queen's 2018 New Year's Honours List. Vikas is an accomplished public speaker, with international experience of delivering keynotes, chairing panels, and providing insights at industry events, business conferences and public events. He was a speaker at the largest TEDX event in Europe, TEDXManchester in 2018. He has spoken at many of the world’s most influential entrepreneurship events including The Economist Annual Conference (EIU), MIT Global Startup Workshop, VentureFest Manchester, The Rice Business Plan Competition, NYU Start Abu Dhabi, Global Entrepreneurship Week, Dubai Entrepreneurship Week, Vikas is frequently called on to provide commentary and opinion, and has featured in media including The Economist, Guardian, CNBC, BBC, Sky News, ITV News, The Telegraph, Bloomberg and The Financial Times. Vikas is Professor of Entrepreneurship on the MIT Sloan European MBA in Europe (The Lisbon MBA). He is also Honorary Professor of Business and Entrepreneurship at the University of Manchester Alliance Business School and has spoken, delivered lectures and workshops at institutions including KU The Katholieke Universiteit Leuven, Catolica Lisbon School of Business and Economics, Uniersidade Nova de Lisboa, ISCTE – Instituto Universitario de Lisboa, Salford Business School, NASDAQ Foundation and Manchester Metropolitan University. Vikas is also a multi-award-winning writer, and his journal Thought Economics features conversations with many world leaders, entrepreneurs, thinkers, artists, creatives and entertainers. Individuals he has interviewed include, Will.I.Am, Buzz Aldrin, Noam Chomsky, Sir Richard Branson, F. W. de Klerk, Bear Grylls, Moby, Philippe Starck, Sir James Dyson, Garry Kasparov, Ai Weiwei, HRH Prince Constantijn of the Netherlands, Maya Angelou, Usain Bolt, George Takei, Hans Zimmer, Jack Welch, Ed-Catmull, Steve Ballmer, close to 20 Nobel Prize Winners and the Presidents and Prime Ministers of nations including Mexico, Portugal, Poland, Estonia, Belgium and the Maldives. He is frequently called on to provide commentary and opinion, and has featured in media including The Economist, The Guardian, CNBC, BBC, Sky News, ITV News, The Telegraph, Bloomberg and the Financial Times. During a ten year fight with depression, Vikas turned to poetry as a source of consolation, healing and reflection. 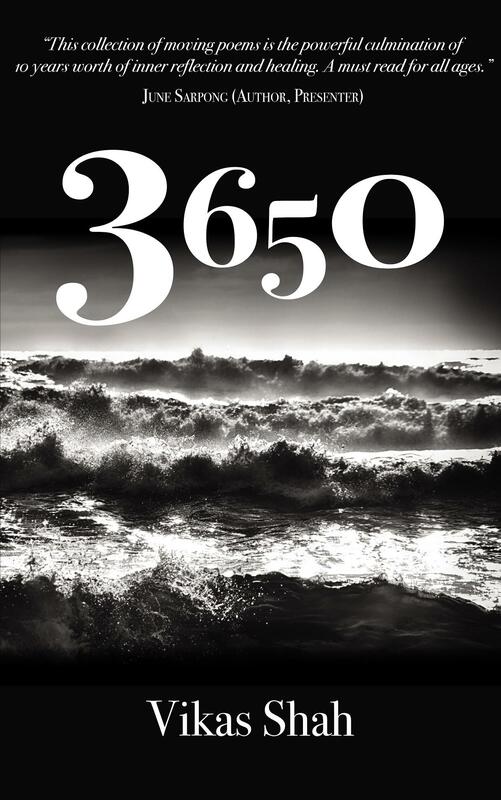 In his new book, 3650, he brings together a decade of poems to share with the world. Vikas is a member of the The UK Industrial Development Advisory Board which advises the UK Government on over £4.5billion of investments and a board advisor on digital strategy to the British Council. He is also Former President and a Board Member of TiE UK (a chapter of the world’s largest entrepreneurs network). As a committed philanthropist, Vikas sits as Chairman of the Board at FutureEverything (one of the world’s most influential festivals and social enterprises, focussed on digital culture) and Chairman of the Board at In Place of War (international peace building and entrepreneurship NGO with 100 grassroots community organisations with a collective reach of over 60m people in Africa, Europe, the Middle East, Asia and Latin America). He is a trustee at Mustard Tree (helping tens of thousands impacted by poverty and marginalisation across Greater Manchester). Vikas is also an advocate for a number of causes, speaking publicly on issues ranging from mental health and inequality. Vikas provides consulting services applying entrepreneurship and over 20 years of real-world business experience to solve problems, find opportunities and help businesses to grow. He is also frequently called upon by CEO's and leaders to provide coaching and mentoring.